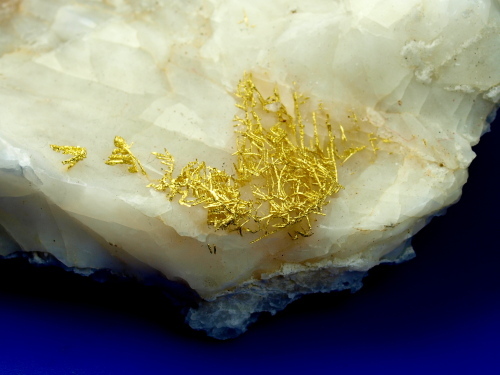 Here is an amazing crystalline gold specimen that was found with a metal detector in Eastern Oregon. Hydrofluoric Acid was used to etch away some of the quartz(extremely dangerous and not recommended for the average person), which revealed a beautiful crystalline structure. I believe this piece was found with a Whites GMT metal detector. You don't often see big specimens like this one, and I'm sure it made a gold collector very happy.